Tom Isted feeling the G's with this Cork 7. 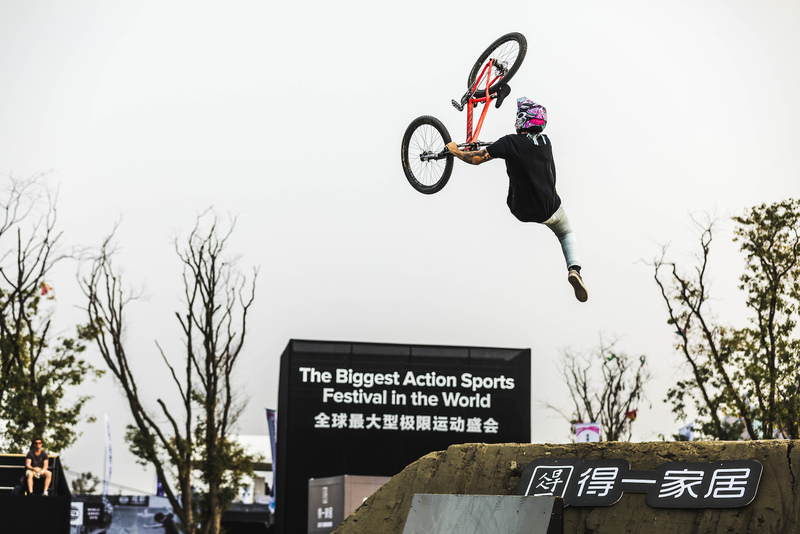 With FISE (Le Festival International des Sports Extrêmes) Chengdu well and truly in the past, we thought we’d take a final look back at some of the tricks that made the event what it was. Enjoy! 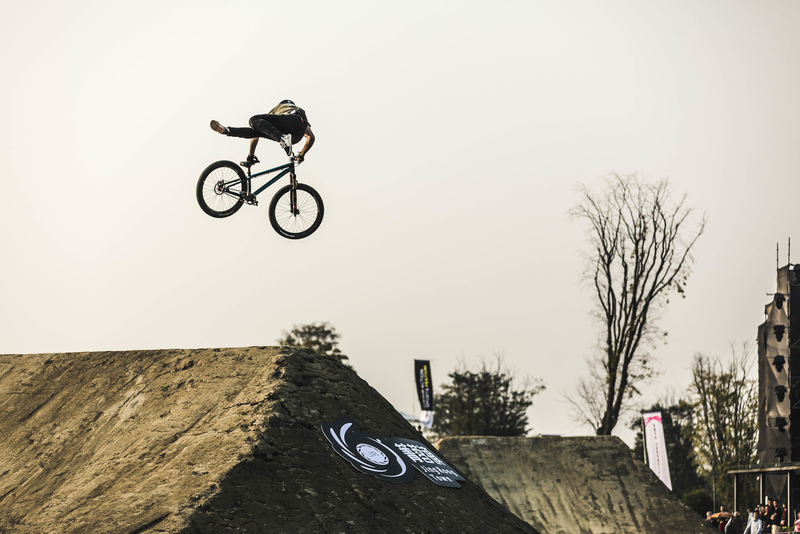 Full extend on the 3 Indian Air. Always got time Dumped 3's. 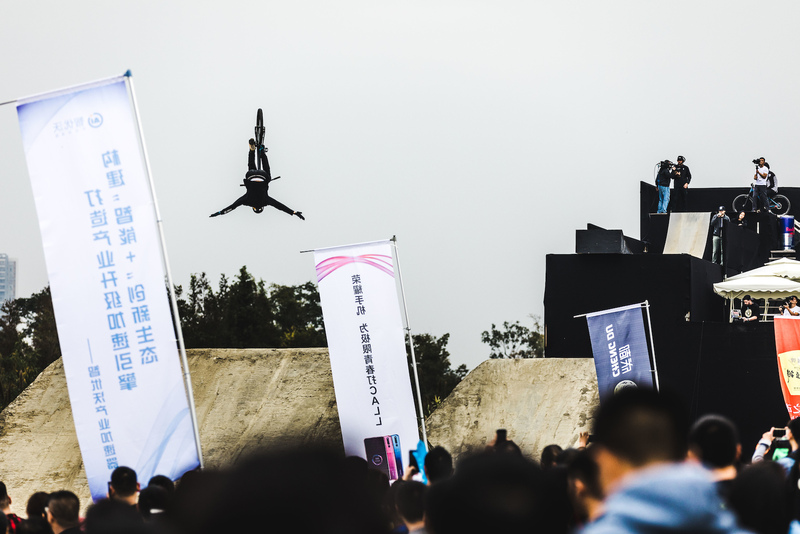 It's also worth noting that this guy wasn't actually competing in Chengdu but was in fact one of the builders who crafted those sculptures you see him floating over. 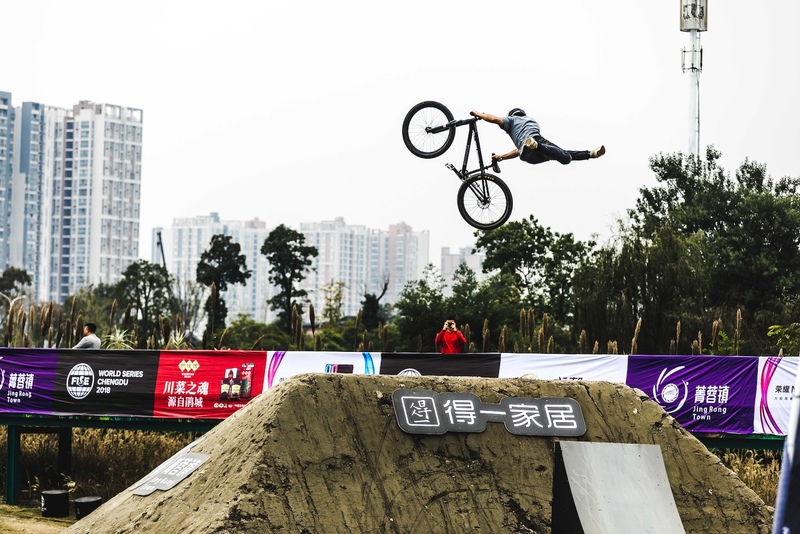 By comparison, a relatively simple trick, regardless, one of the cleanest things I saw from Chengdu, Nicolas Terrier with the 360 One Foot Table. 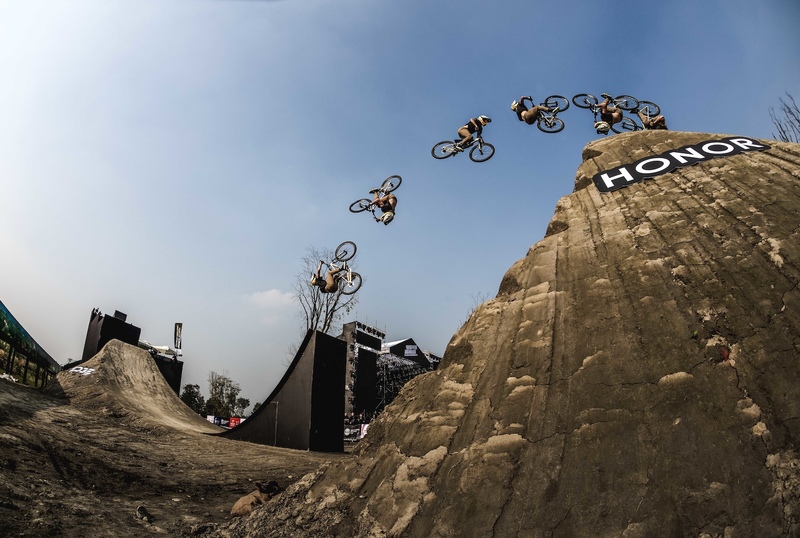 The infamous Cashroll, as executed here by 5th place privateer, Viktor Douhan. 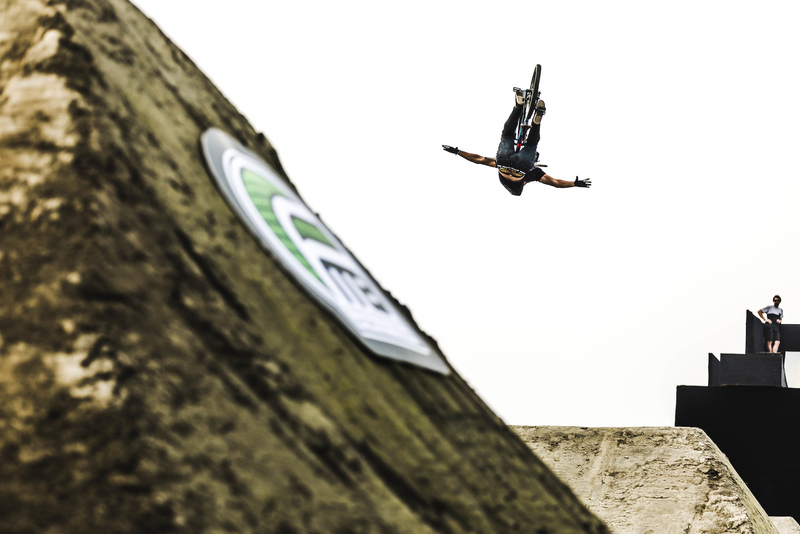 Another day, another Cork 7. 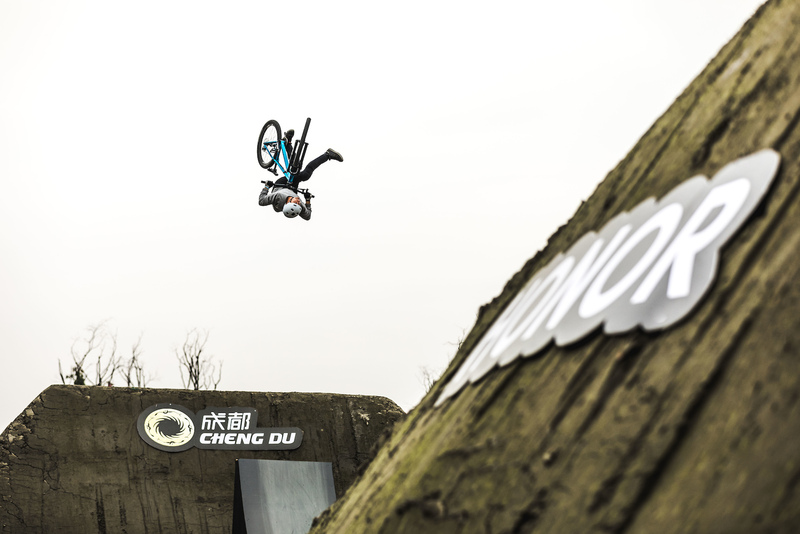 Timothé Bringer went second in Chengdu last week, here he is with a Backflip Tuck-No. 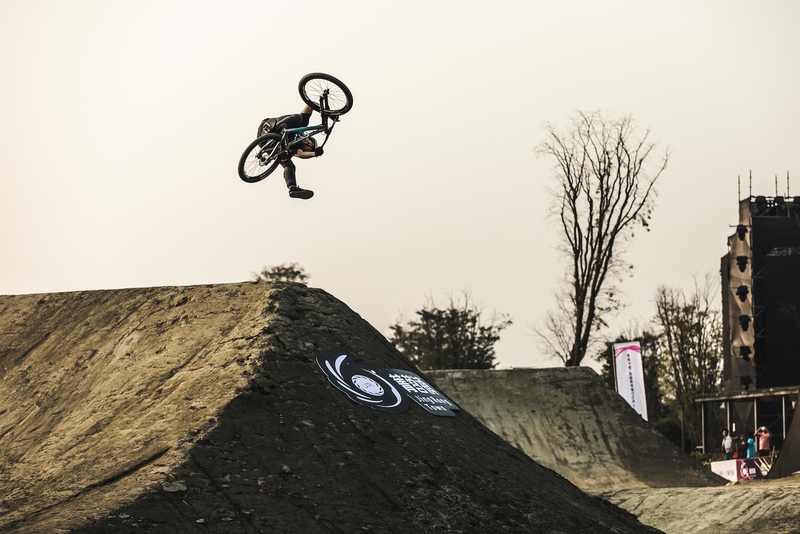 Cork 7's appeared to be popular among the riders last weekend, here's 3rd place finisher, Alex Alanko dialling his in during practice. 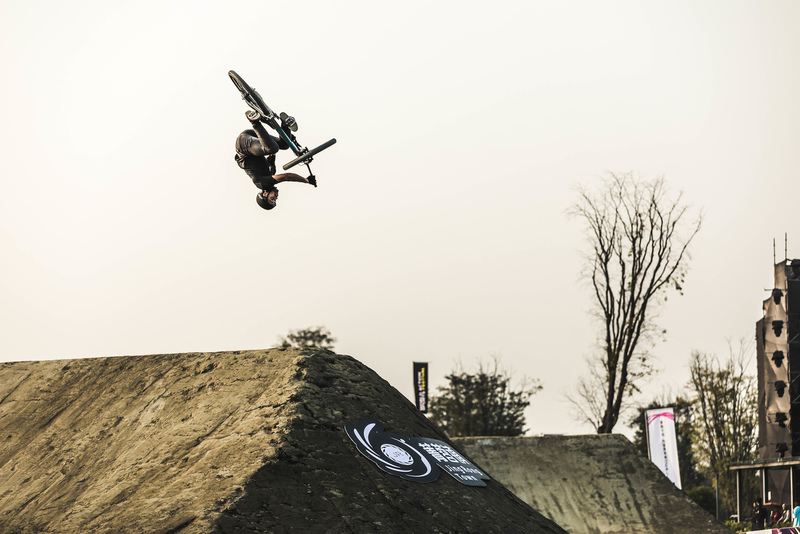 Backflip Double Whip from Chengdu's MVP, Tomas Lemoine. 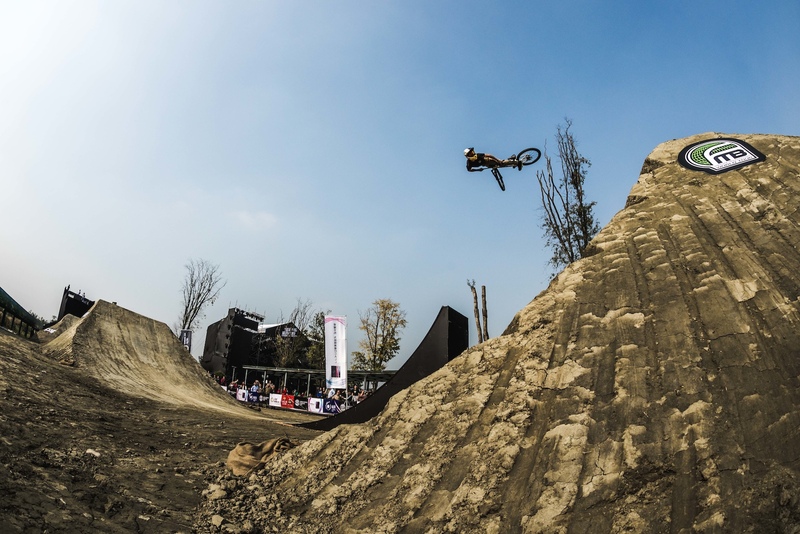 Brayden Barrett/Hay goes big with a No-Foot Can in finals. Paul Genovese puts the cherry on one of his finals runs with an Indian Air. 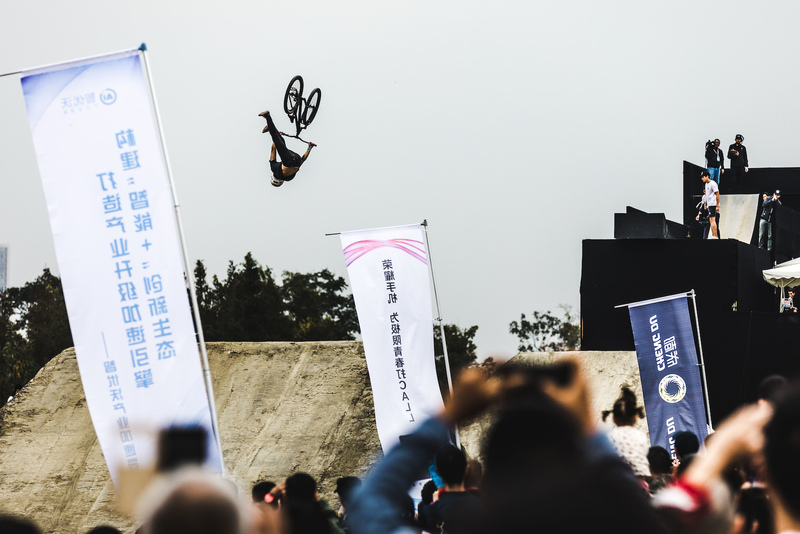 The Chinese crowd definitely approved of this Front Flip Tuck from Lukas Knoph during the finals. 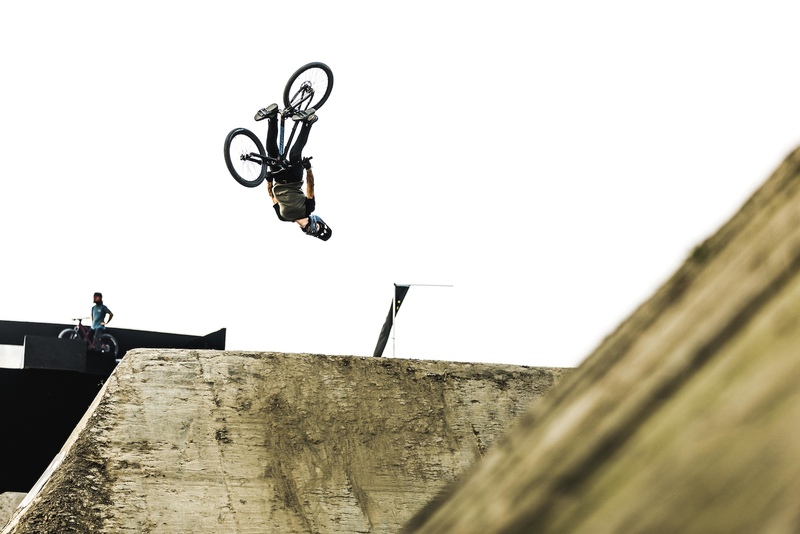 Alex Alanko eases in with a Backflip Can during early practice. 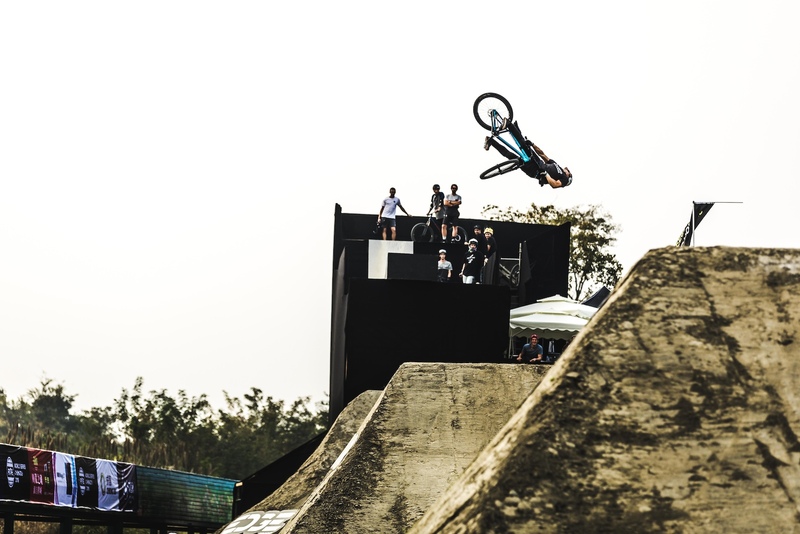 I am a great person and I’m not just the one person that is the reason I’m not just because I’m a great person and that we can learn from them as much and as possible and be happy with it as a person and be a mountain biker with you as you go to learn about the other comments. No coverage on the rest of the field? 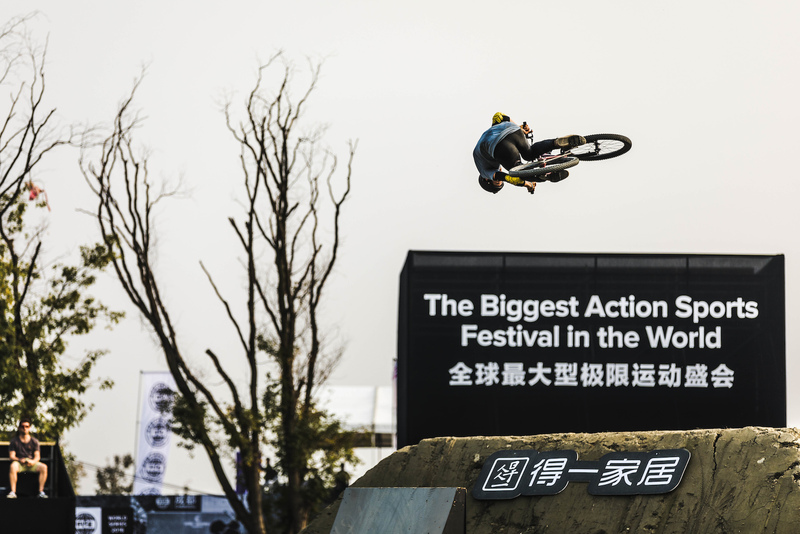 Biggest Action Sports Festival in the World. Cracks me up every time. Soooo.... a video might help. 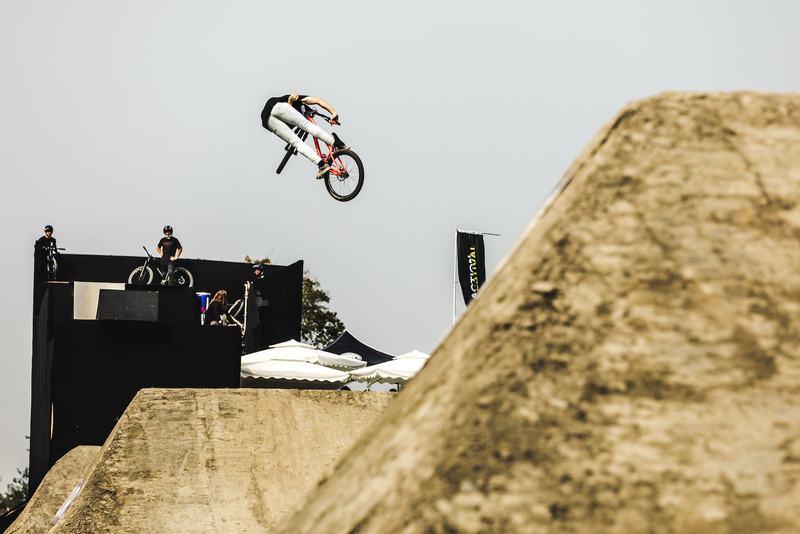 I saw the same cork 7 photo a few times in there. I like to just say "Cheng DU" in different accents.